Since 2009, HALI partners UC Davis and the Sokoine University of Agriculture have been working together to strengthen capacity inTanzania for surveillance and detection of viral threats that can move between animals and people. Through PREDICT, the HALI team has built a highly trained One Health workforce for surveillance or emerging viral threats and advanced the laboratory system for improved disease detection. Now in the second phase, PREDICT/Tanzania has expanded to include partners from the Ifakara Health Institute and launched concurrent surveillance of wildlife and people in at-risk areas for viral spillover and spread. In Tanzania the project has trained over 100 individuals in core One Health skills, sampled over 2,000 individuals (animals and people), and detected 63 viruses, including 50 viruses new to science. The R&B project, initiated in 2015, is conducting surveillance and risk characterization for Rift Valley fever virus (RVFV) and Brucella exposure and isolates from animals, humans, and arthropod vectors in two regions of Tanzania. R&B is also contributing to Tanzania’s Global Health Security Agenda by strengthening local surveillance capacity for RVFV and Brucella detection, management, and control. To date the project has trained over 50 individuals in biosafety, safe sample collection, and disease detection, collected samples from over 3,700 domestic animals, 2,200 mosquito pools, and 4,000 febrile patients for disease testing. VISHA, also initiated in 2015, is evaluating the risk of zoonotic viral disease transmission among bats, non-human primates (NHP), and people sharing a forest interface with high human-wildlife contact in Southern Tanzania. VISHA’s goals are to identify critical control points for disease transmission and to strengthen local One Health surveillance capability to prevent regional or pandemic outbreaks of disease. To date, VISHA scientists from the Sokoine University of Agriculture, Ifakara Health Institute, and UC Davis have sampled more than 1,400 bats and 1,900 febrile patients, set tracking devices on bats to monitor their movement and potential disease transmission risk, and completed molecular testing for both priority zoonotic disease such as Ebola and Marburg along with new and emerging viral threats. The goal of Rx One Health is to provide a “prescription” or Rx for early career health professionals to prepare them for immediate engagement in global health careers that will demand effective problem solving skills, cross-disciplinary engagements, and solid foundations in field and laboratory activities. 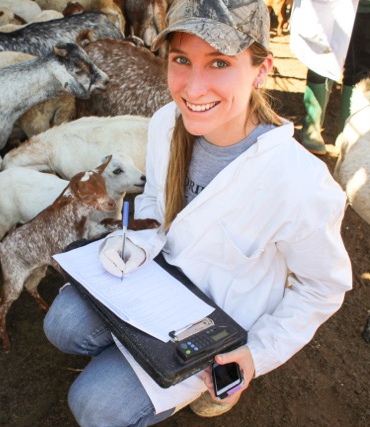 Led by the UC Davis One Health Institute and Sokoine University of Agriculture, the Rx One Health curriculum has been built on the tremendous legacy of a course called Envirovet Summer Institute that was co-led by UC Davis and offered multiple times throughout the 1990s and 2000s, and which trained more than 400 veterinarians and veterinary students from around the world in ecosystem health (a precursor to One Health). Like Envirovet, Rx One Health is an immersion-style, hands-on, intensive training course delivered over a 4-week period, with all coursework occurring in Tanzania in 2018. This project aimed to investigate an unexplained decline of African buffaloes in Ruaha National Park (RNP). Park staff and safari operators reported seeing fewer and fewer buffalo, but prior to this project, little data was available on the health, demographics, movement, and population numbers of the Ruaha buffalo population. A 2013 aerial count supported the concerns about a population decline as significantly fewer buffaloes were counted compared to the last survey in 2004. Health screening of 40 buffaloes found that bovine tuberculosis and brucellosis is present in the population, but that these diseases likely have little population impact. Six years of demographic surveys showed that buffaloes generally were in good health and that body conditions and calf production was similar to what had been observed in stable buffalo populations in eastern and southern Africa, however, cow:calf ratios appeared to vary with rainfall in the previous rainy season. Collaring of buffalo cows in four of the major herds revealed that the herds largely occupy distinct areas of the park with some occasional mixing, that buffaloes may move to higher elevations out of the main area of the park in the wet season, and that buffaloes occasionally leave the park and move into the wildlife management area adjacent to the park. Overall, the study showed that the Ruaha buffalo population appears robust, and that the population decline likely was caused by reductions in useable habitat in association with the increased drying of the park’s main water source, the Great Ruaha River. Select findings from the study are featured in the article “Demographics and parasites of African buffalo (Syncerus caffer Sparrman, 1779) in Ruaha National Park, Tanzania. Together with founding HALI partners UC Davis and the Sokoine University of Agriculture, the HALI team expanded its One Health network to include the University of Warwick, and the Tanzania National Medical Research Institute in order to more comprehensively address zoonotic disease transmission dynamics between the environment, animals, and people in Tanzania. 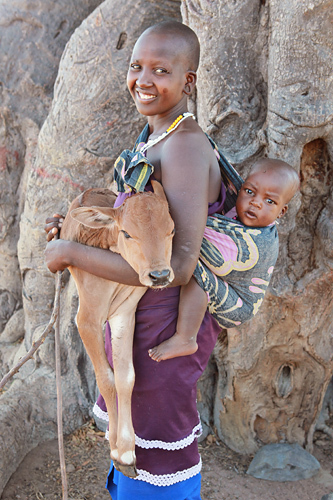 Our international One Health team worked together to improve tuberculosis surveillance, management and control in herds and households in pastoral areas of the greater Ruaha Ecosystem. Building on work conducted through the Global Livestock CRSP (2006-2009), HALI, supported by an award through the USAID Feed the Future Innovation Lab “Adapting Livestock Systems to Climate Change” continued to partner with rural pastoralist communities to evaluate the impacts of education on livestock health, maternal and child nutrition, and livelihoods in Tanzania’s Ruaha ecosystem. To reach pastoralist households in remote areas, our team worked to develop a mobile phone-based disease reporting and education system and worked with district and regional health officials, village extension officers, and university partners to better understand disease threats and the potential for improving health service delivery. We also teamed up with the Friends of Ruaha Society, a local environmental education organization to bring climate change and health messages to primary schools. The overarching goal of this project was to develop the local capacity of Ruaha’s protected area managers and staff to diagnose and investigate disease threats to wildlife and raise awareness of protected area staff and local communities bordering Ruaha’s protected areas about the links between wildlife, domestic animal, and human health. To achieve this goal we increased on‐the‐ground capacity of Ruaha’s protected areas staff (ecologists, managers, rangers and game scouts) to safely investigate and mitigate zoonotic diseases that pose a conservation threat; and created awareness in communities bordering Ruaha’s protected areas about zoonotic diseases that can be passed between livestock, wildlife, and people, encouraging prevention practices that reduce disease spillover to people and wildlife. A key output of the project was the development of a handbook for “recognizing, investigating, and reporting diseases of concern for wildlife conservation and human health”, which has become a valuable resource for wildlife professionals in the Central and East Africa region. Our founding project, HALI evolved as a partnership between the two veterinary schools at the Sokoine University of Agriculture in Tanzania and the University of California Davis Wildlife Health Center and friends with the Wildlife Conservation Society’s Ruaha Landscape Program. 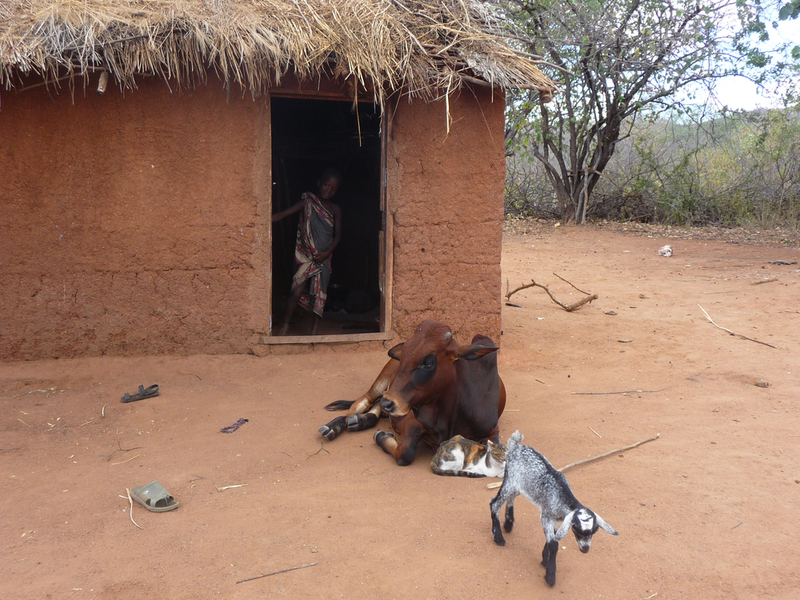 Our initial work aimed to characterize zoonotic disease transmission between humans, animals (including wildlife) and the environment, and investigated the impacts of disease transmission on livelihoods and human health in the Ruaha ecosystem.